I spent some time in Shanghai, China many years ago. While there, I went out clubbing a lot; pretty much every weekend. By far my favorite club in the city was a place called Bonbon. It was located a few hundred meters from my apartment, but that wasn’t the reason it was my favorite. Okay, it wasn’t the whole reason. It had the best DJs in the city and for a price of $12 it offered an open bar until 4 AM. It was also filled with hot girls. It also had a great sound system and basically a selection of all the best DJ equipment for beginners. True, this club could never compare with the best clubs in other cities, like Tokyo or New York or Las Vegas or Berlin, etc.. But China—and in fact most of Asia except for Japan—does not really have all that many real clubs. Most places are actually pretty horrible, with annoying crowds and bad music that’s way too loud. That’s why a good club like bonbon, seems amazing while you’re there. Despite the lack of great clubs, China does pull some of the world’s greatest DJs. And in Shanghai, bonbon got a lot of them. 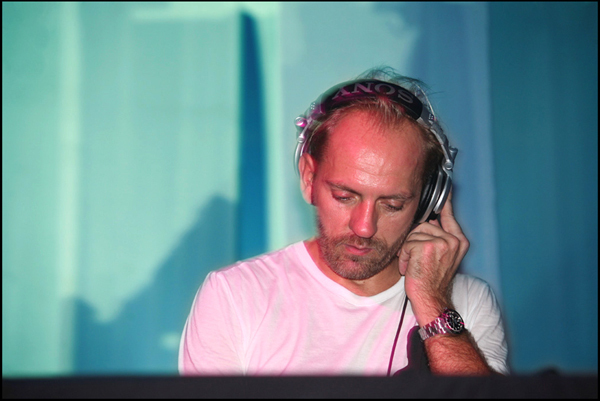 I saw quite a few big-name DJs while I was there, but the one that sticks out the most is Sven Vath. I had never seen him before, but had heard many good things, so when I saw that he was playing at my favorite club I was naturally really excited. But that’s not why he sticks out. I remember his performance, because it was so horrible. Bonbon is a drinking club. With an open bar, everyone consumes a lot of alcohol and that makes for a certain mood. That mood is not conducive to long drawn out trance numbers. And unfortunately that’s exactly what Sven was playing. When he first took the stage, the crowd had been whipped into a frenzy by the previous DJ and the excitement only grew in anticipation of the night’s headliner. But as the set went on and the endlessly droning beats monotonously continued for 10 long minutes after 10 long minutes after 10 long minutes, you could feel the energy being sapped out of the crowd. People who were dancing before were now just standing and watching and pretty soon everyone was looking forward to the moment when the regular club DJ would come in to finish up the night. It was on this night that I realized that Sven Vath is a terrible DJ. True, it’s not his fault he was booked at the wrong kind of club for his music. There’s nothing he can do about that and the promoter should have done his homework and not brought in a trance DJ. Nevertheless, any good DJ should have the ability to read the crowd and adjust what they are playing accordingly. Sven clearly did not have that ability; or maybe he simply did not have the desire and he just stubbornly continue to play his set list. Either way, he ensured that I will never watch him spin music again and I’m sure many in the crowd left feeling exactly the same. On a final note, if you are planning on traveling to China and more specifically to Shanghai and you want to go out at night, ask around before you head to Bonbon. It was great while I was there, but things change quickly when it comes to clubs and even just a new club DJ can completely change a place. Your best bet, is to simply ask someone when you’re there, like the staff at your hotel or just young people around the city. The one thing you should definitely do is go out clubbing if you’re in China, because even if the clubs aren’t that great, it will still be a unique experience. And if you’re lucky, or should I say unlucky, enough to see a Chinese DJ…well that can be an even more unusual experience. I'm a DJ who travels the world and pays for it by playing clubs all over the world. I love it! This site won't help you become a DJ, but it will help you decide which professional ones to go and see. It will also provide you with travel advice, letting you know the best cities and countries to visit and which clubs to frequent while there.